How many of you dreaded doing these in elementary school? I’m a sick and twisted kind of geek and actually enjoyed diagramming sentences. I’ve always believed that everything had a place and there was a place for everything. I liked finding a place for every part of a sentence and understanding their function. I was especially good at identifying the prepositions in sentences (Mrs. Lessard would be so proud). I remember learning the tips on identifying prepositions. We used to think of things that could be done with a dog and a box. A dog could be in the box, around the box, near the box, on the box or run through the box. I’ve seen plenty of other ways of remembering prepositions, including this one that just makes me want dessert. The function of a prepositional phrase is to modify nouns and verbs while indicating the relationships between subjects and verbs. I think about how my relationship with Christ looks as if it were a prepositional phrase. Am I truly living in Christ, with Christ, near Christ? Prepositional phrases have the ability of adding incremental elements of color and description to sentences. For writers, it’s important for them to understand the impact of the usage in order for them to make the right choices. Likewise, we should be able to diagram our lives as Christ followers so we can see if we are adding the same type of emphasis. For example, are you living life among the lost? If so, maybe you need to step out of your silo surrounded by other Christians. Are you living opposite of God’s will in your life? If so, maybe praying for focus is in your future. Are you sharing the result of your life since following Christ? If not, maybe you should practice writing out your testimony and presenting it clearly and concisely. Have you considered how Christ defeated death after crucifixion and burial? or how he forgave us despite our sins? or how the Holy Spirit dwells inside of us? or how empty our lives might be without God’s mercy? In order to grow spiritually, I need to constantly be evaluating where I stand in relation to Christ. In order for me to modify Christ as a preposition modifies a noun, I need to bring something to the table. 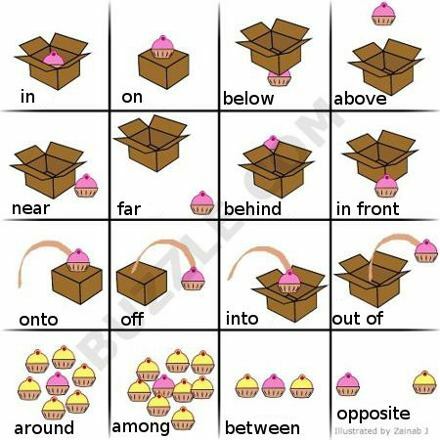 The preposition provides detail or context. My life needs to provide a strong witness that accentuates Christ and gives Him glory. Sentences kinda have it easy. The words are always the words. Words don’t change. Words don’t sin. Words don’t rebel. Words are consistent. I am not. Even in all my effort to modify Christ, I fail and fall short. Just as diagramming might helps a writer figure out how to craft a wonderful sentence, I need to have the same assessment so I can craft a wonderful life as a disciple.